Candidates who made Obafemi Awolowo University, Ile-Ife their first choice and took part in the Obafemi Awolowo University Post UTME screening exercise are advised to check their names from the list of candidates admitted by the Joint Admissions and Matriculation Board (JAMB) on the Obafemi Awolowo University Website and follow the procedures for registration as laid out. 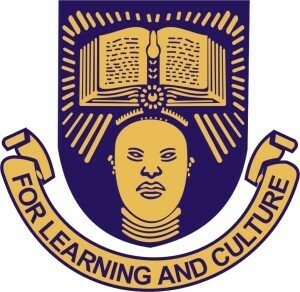 Confirmation of admission on the OAU website shall commence with the payment of non-refundable acceptance fee of N20,000.00 (fresh students only) starting form 18th February, 2019 ending 28th February, 2019. Failure to do so may lead to forfeiture of admission offer. Transfer/Master Card i.e. ATM) in order to link the payment to REMITA. If Bank Branch is selected, download RRR (Remita Retrieval Reference) and use it to pay by cash in any BANK OF YOUR CHOICE that accepts cash payment to REMITA. If either TRANSFER or MASTER CARD is chosen, supply the additional information to effect the payment. Please, note that you can access the University e-portal from anywhere to effect your payment in any branch of the Banks nearest to you effective 18th February, 2019. Candidates who have been offered admission should upload their credentials including Birth Certificate/Sworn Declaration of Age. Each candidate will be required to submit his/her Registration Certificate Form, as downloaded, to the Faculty Secretary. They will also be required to present the print- out of the certificate form for further screening on resumption. All screenings are to be done on-line. All freshmen are expected to complete their screenings before they come to campus on March 9, 2019 when the 2018/2019 session will commence. Log on to the University eportal using your Registration Number and the Password you used last on the portal. Complete the following forms correctly on the ePortal. Successful filling of forms above. Payment of appropriate Charges at the banks.